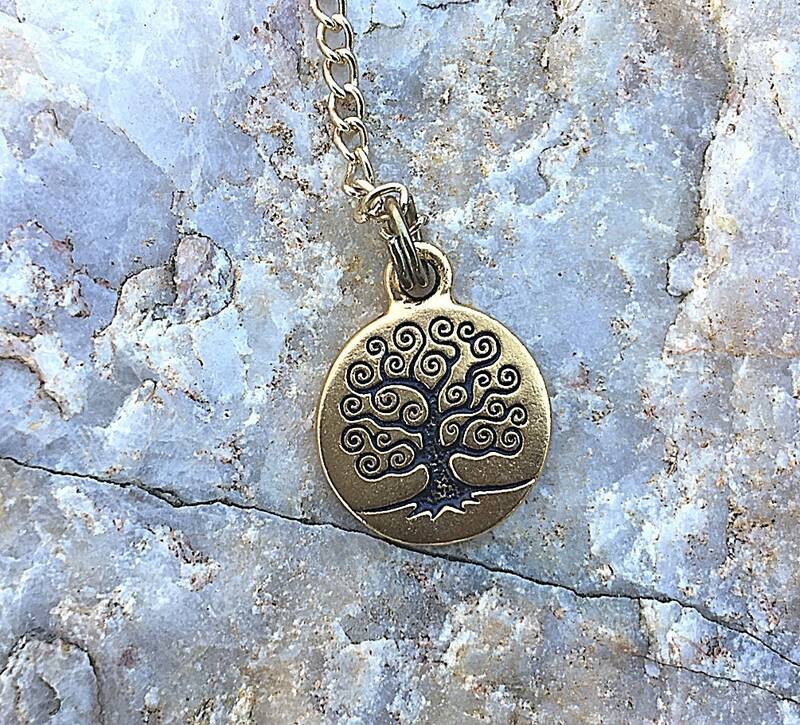 This listing is for the pendulum pictured (approximately 2" in length), oak burl wood, 10k gold-plated brass hardware and chain, with tree of life charm. Comes with black velvet drawstring bag. For more information and resources on the art of pendulum dowsing, please take a look at The American Society of Dowsers, www.dowsers.org, of which we are proud members. 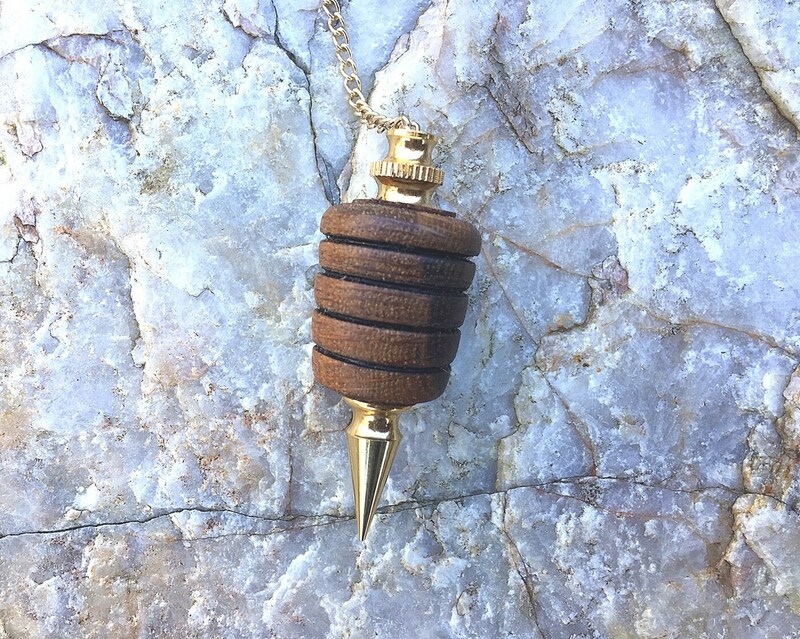 Greybeard's pendulums are hand-crafted, hand-turned, and naturally finished with shellac and carnauba wax in our woodshop with positive intent and healing energy. 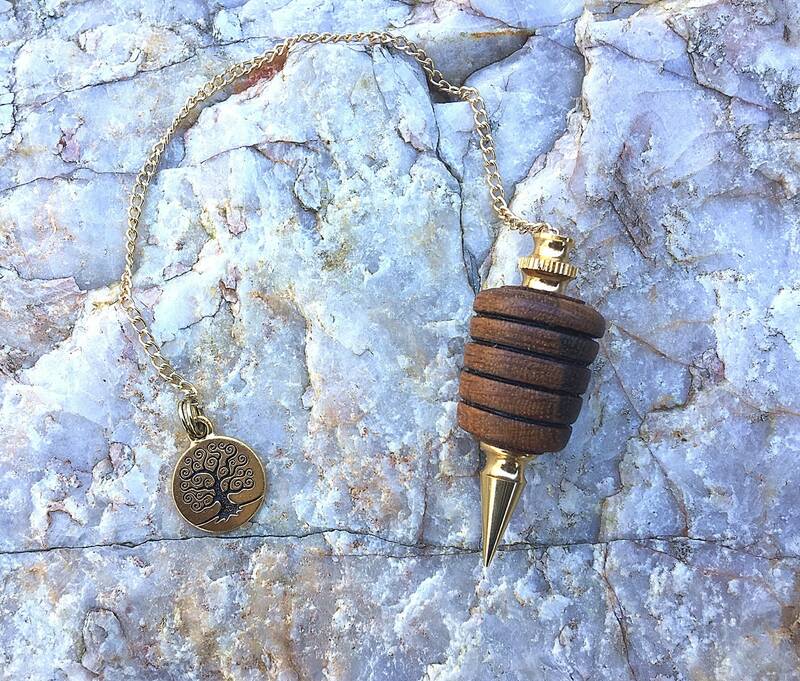 Our pendulums are handcrafted using the finest woods chosen for their energetic properties, as well as esthetically pleasing look, and no two pendulums are exactly alike. We recommend an occasional rubbing of your pendulums with an all-natural wood conditioning product, such as Greybeard's Wood Life Wax made with beeswax, carnauba, and almond oil, to keep it supple and beautiful and to last for many years.